A device which plays all video formats, plays mp3 files and allows you to view .jpg images too for just Rs. 549? Want it? Buy F&D A100 Multimedia Device from Shopclues. It is user friendly and comes with a 3.5 mm Headphone connectivity. 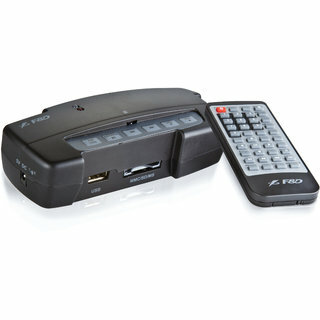 It comes with a remote control and USB/ CARD (MMC/MS/SD) Reader can be used for the media input connectivity. It comes with a one year warranty. Use Coupon Code SC4FM49 to avail the deal. How to buy F&D A100 Multimedia Device at deal price of Rs 549? Select the Multimedia Device and add it to shopping cart.